Home Entertainment Bummy Winnie Nwagi releases new song ‘Binsonsomola’. Bummy Winnie Nwagi releases new song ‘Binsonsomola’. 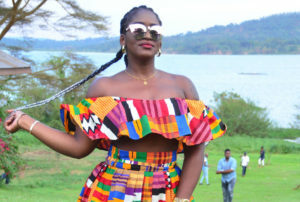 After her collaboration with Nigeria’s singer Slim Prince Fire Dancer which is one of the most played song in clubs and different TV and Radio stations, bootylicious Winnie Nwagi of the ‘musawo’ hit song has released another breathtaking song ‘binsonsomola’ which is believed to be one the next hits in Kampala. 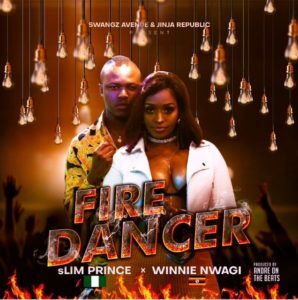 This week when shooting the bisonsomola video, Winnie Nwagi shared a video of her and another Swangz Avenue dancehall artiste Vinka of the “doctor” song and both promised their fans to expect the best from Nwagi. Winnie Nwagi has been facing tough times after her flopped break up with her boyfriend which many referred to as a poor stunt and her management is in the process of rebranding her name and music and Nwagi has promised to release more music this year. Apart from her amazing body, Nwagi is a talented female singer with several songs registered to her name like musawo, katono, magic, kibulamu among many other songs and she is one of the top rated female artists with classy and well organized visuals. Keep your eyes open for this video. Previous articleEddy Kenzo winning Nickelodeon kid’s choice award is a blessing to Uganda. Next articleMuseveni: Crime preventers are part of the UPDF army.